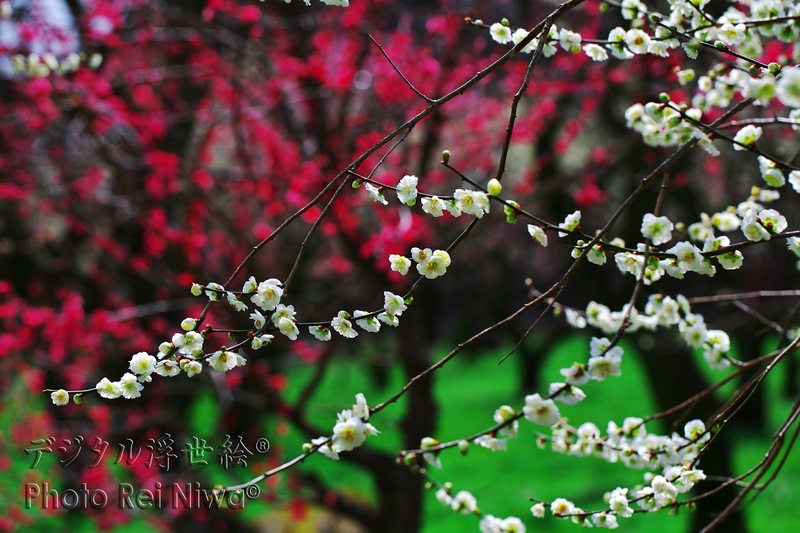 The Ume (Japanese apricot: Prunus mume) isn't native to Japan but china. We Japanese love the cherry blossom very much. But I like the Ume flower also, because I feel that is valuable flower in early spring. 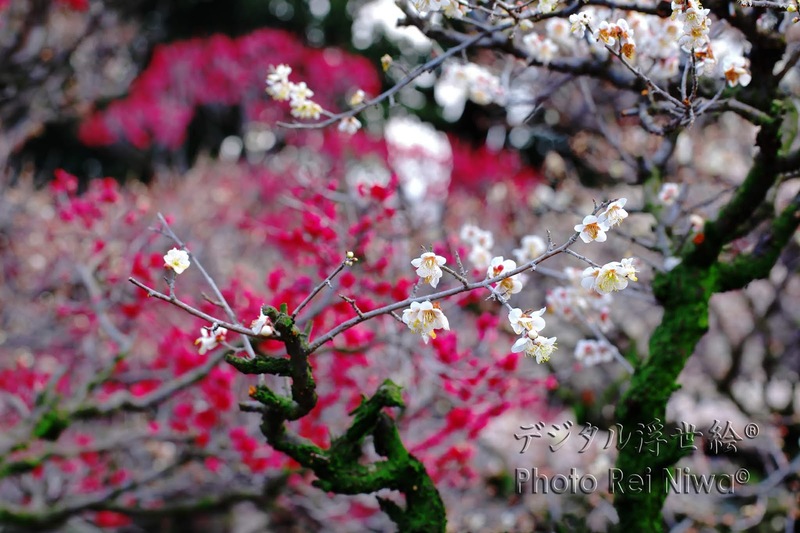 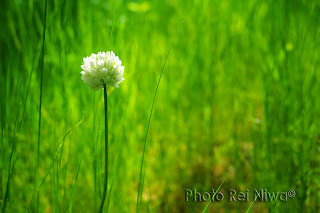 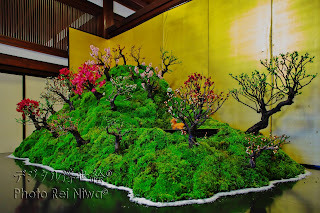 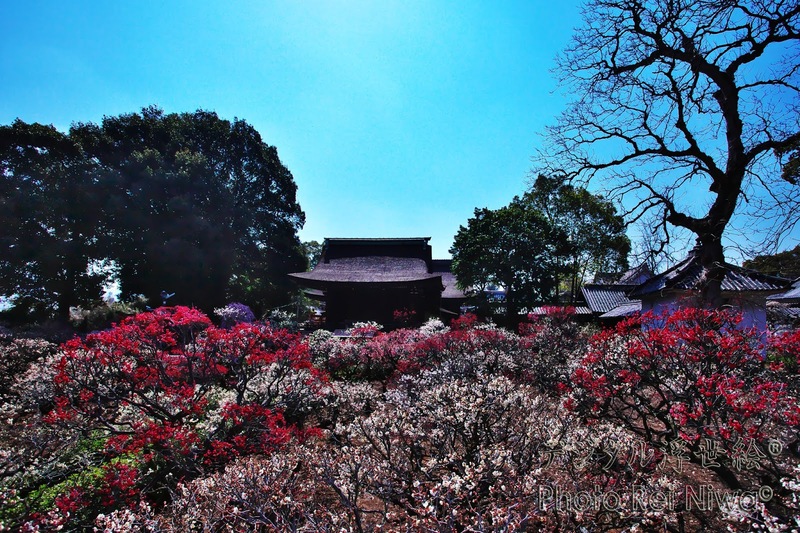 *Please read about "Cherry blossom viewing". 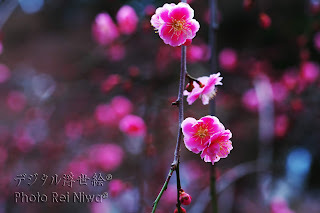 I think that the cherry blossom is famous for glorious flower, but the Ume flower is very nice from beautiful flower, nice tree form and nice fragrance. 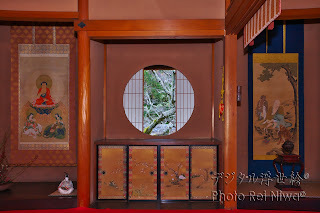 It have become the subject of famous Kourin Ogata "The Folding Screen of Red and White Ume Blossoms". 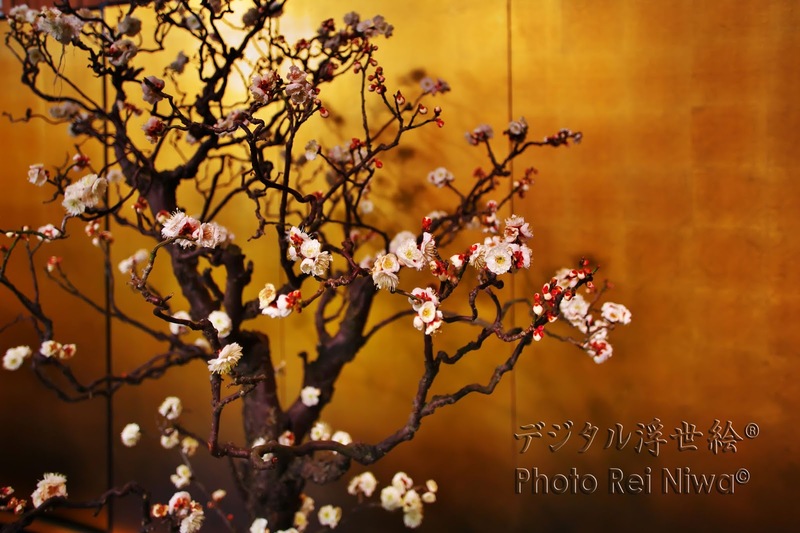 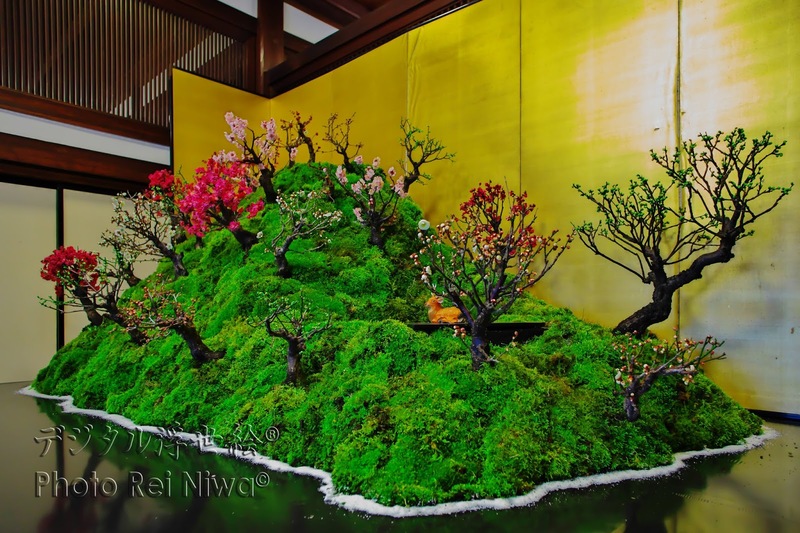 ”Bon-Bai (Bonsai of the ume flower)" expresses a characteristic of the Ume flower, beautiful flower, nice tree form and nice fragrance. 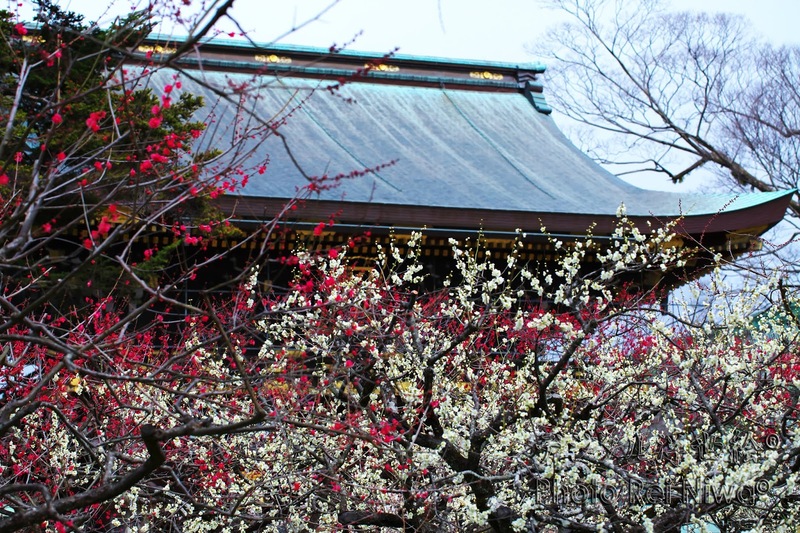 You can be seen the many beautiful Bon-Bai in exhibition of Osaka Tenmangu Shrine in the early spring, and whose large size is nearly adult human and whose age is over about hundred years. 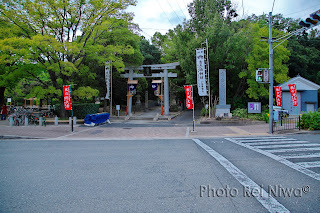 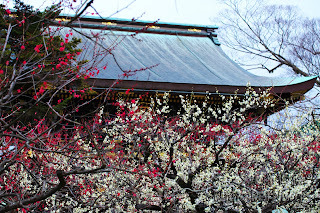 Tenmangu shrine is dedicated to Sugawara Michizane, who likes Ume flower very much, if you want to know more detail, you should read a specialized book. 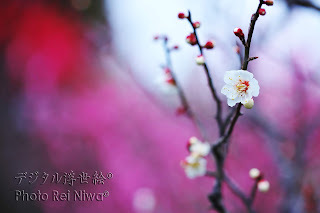 I have gone to take the Ume flower photographs to Ume Garden of Kitano Tenmangu Shrine (Higashiyama-ward, Kyoto-City) and Domyoji Tenmangu Shrine (Fujiidera-City, Osaka-Pref.). 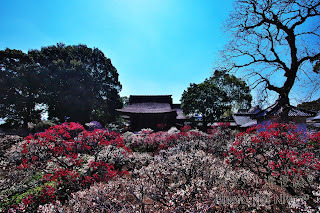 Umenomiya Taisha Shrine is not Tenmangu Shrine, but that has nice shrine garden with many beautiful Ume flowers because Ume flower is whose symbol, I have already visited to take photo. 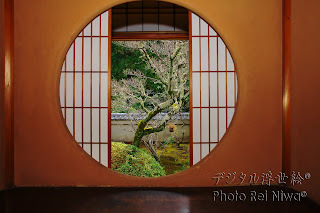 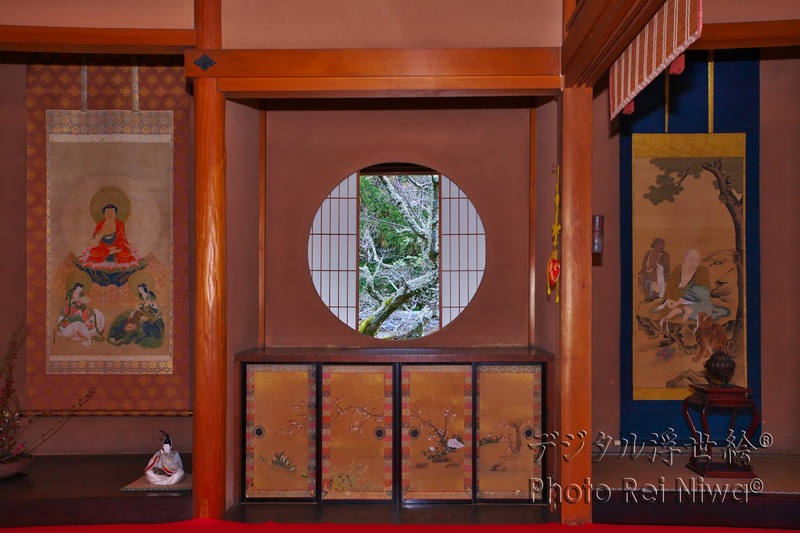 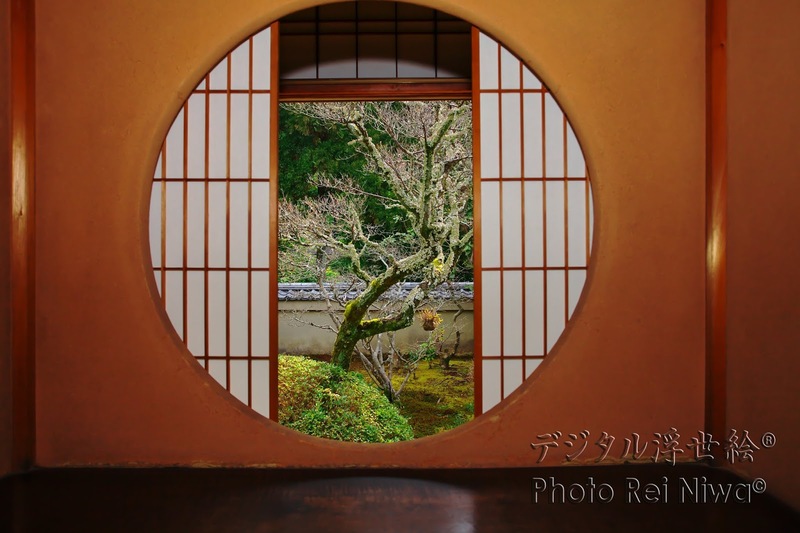 Unryu-in Temple (branch temple of Sennyuji Temple) has the circular window that is called enlightenment windows. 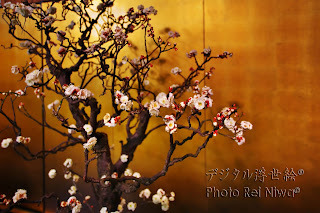 And I can be seen the nice old Ume tree with pretty flowers. Ume flower is blooming during midwinter to early spring, please go to looking for a fragrance of the early spring, one step ahead.